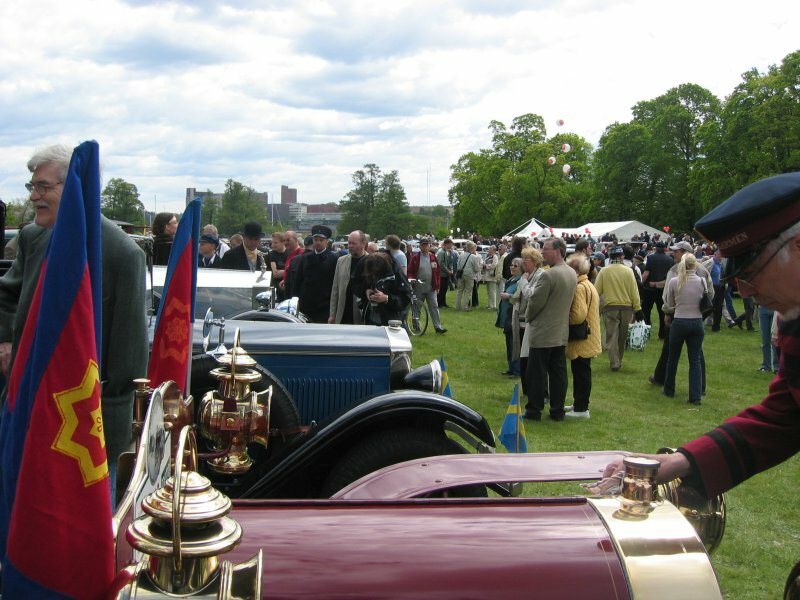 Every year this car meeting is held at Djurgården in Stockholm, normally in the beginning of June. 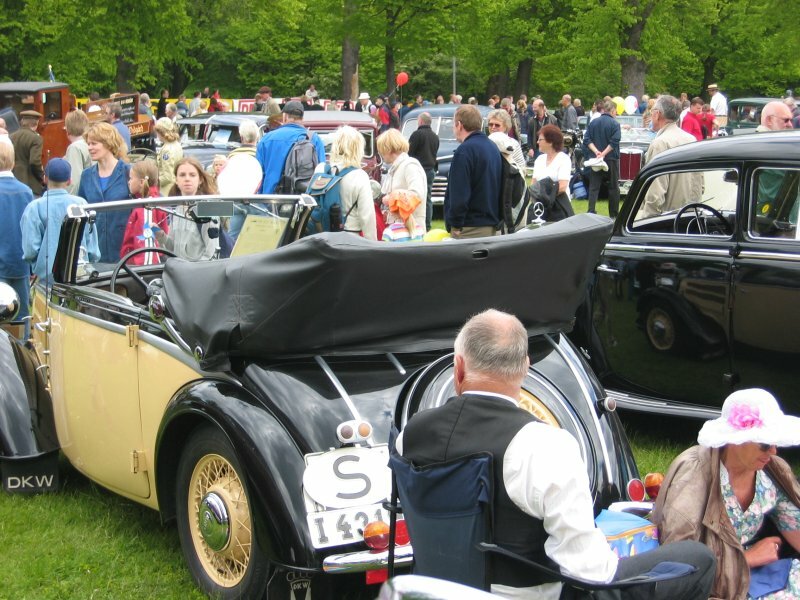 You will find a lot of old cars, older than fifty years. I will ad information and links when I got something new. Or maybe you have more information? Let me know. 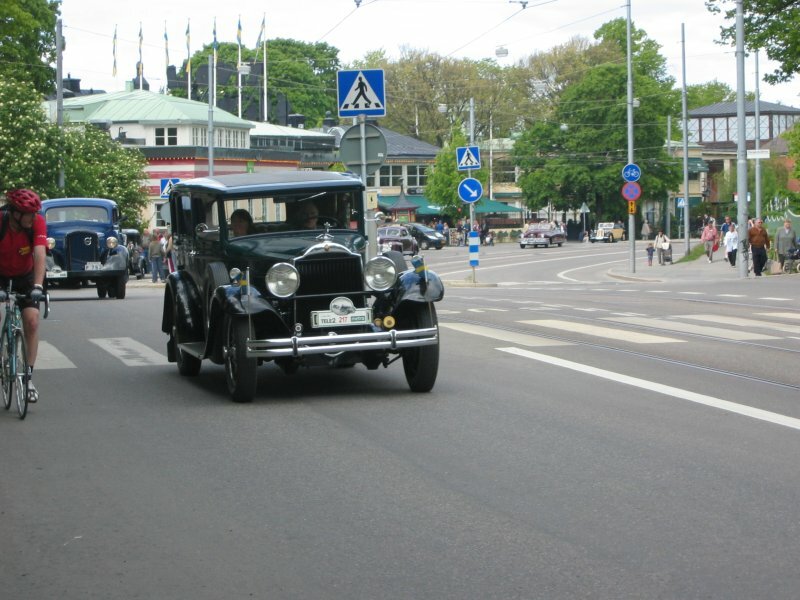 This is the parade when all cars arrive. 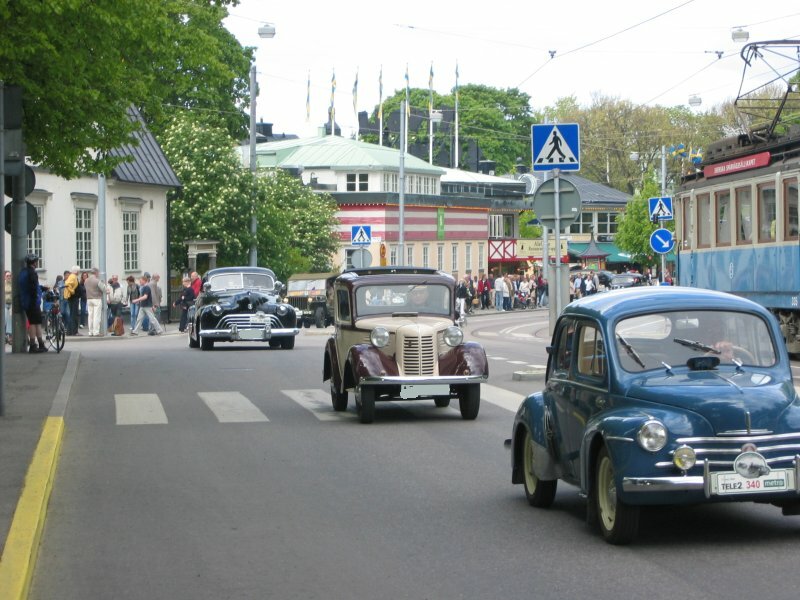 The blue car looks to be a Fiat, the second is a 1938 years Bantam Coupe, the third a 1948 years Oldsmobile Club Sedan. Ford 1930s and the blue behind is a Volvo truck. 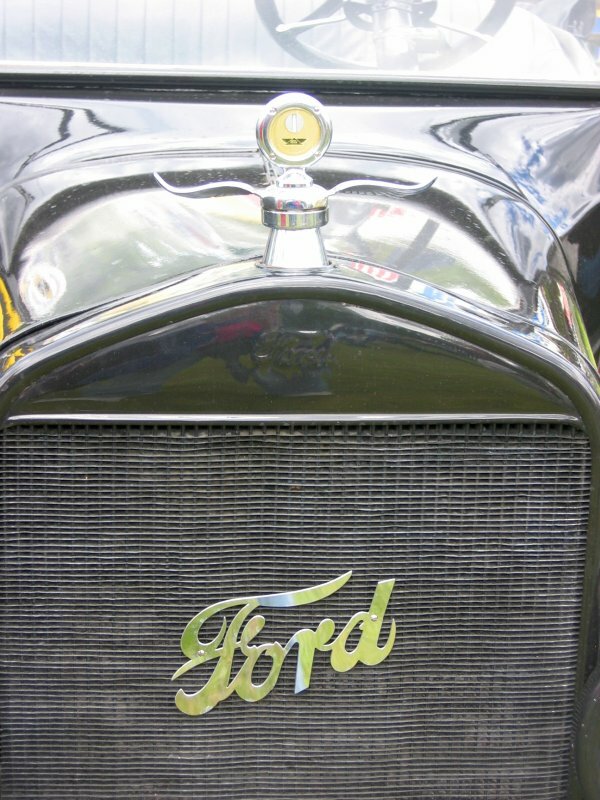 Ford Hot Rod, 1920s. 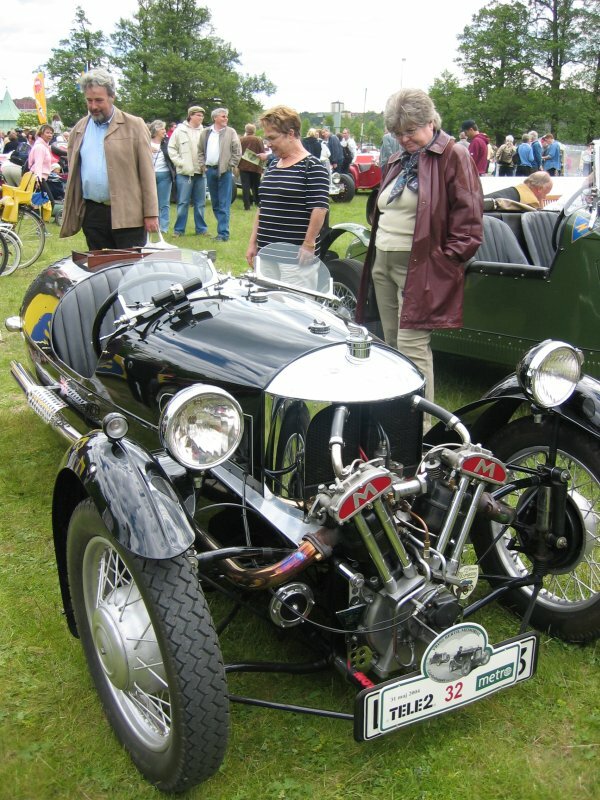 You can see the Jaguar four link rear axle, it's used a lot on hot rods. 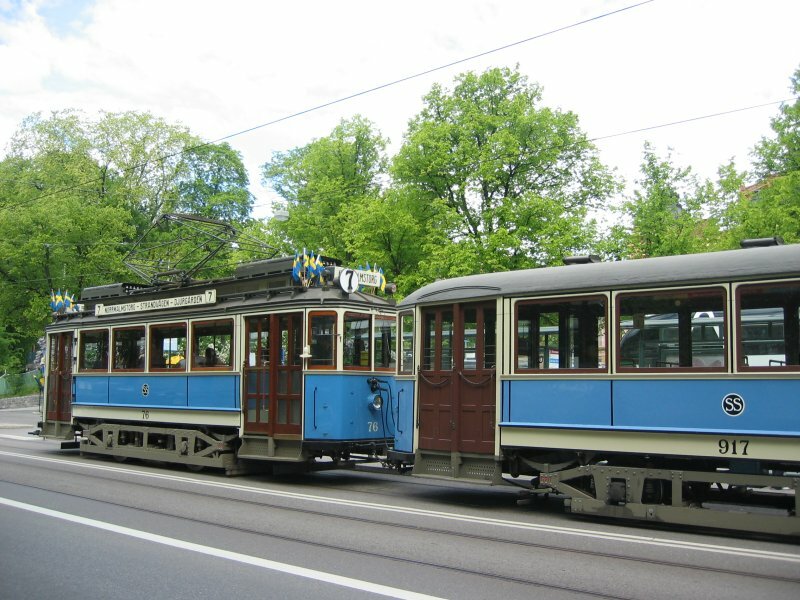 In 1967 we lost our trams, that was when we change from left side drive to right side drive. About thirty years later we got our trams back. 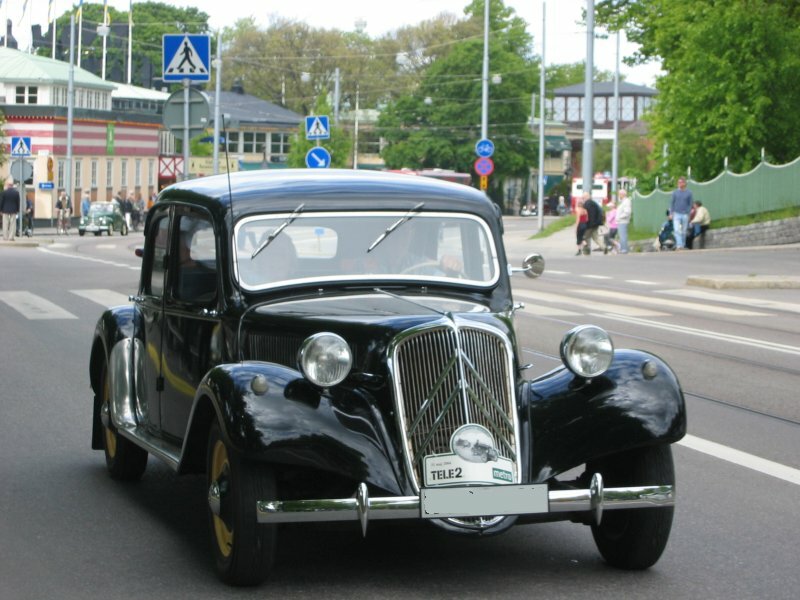 It looks to be a Volvo PV 650 series. 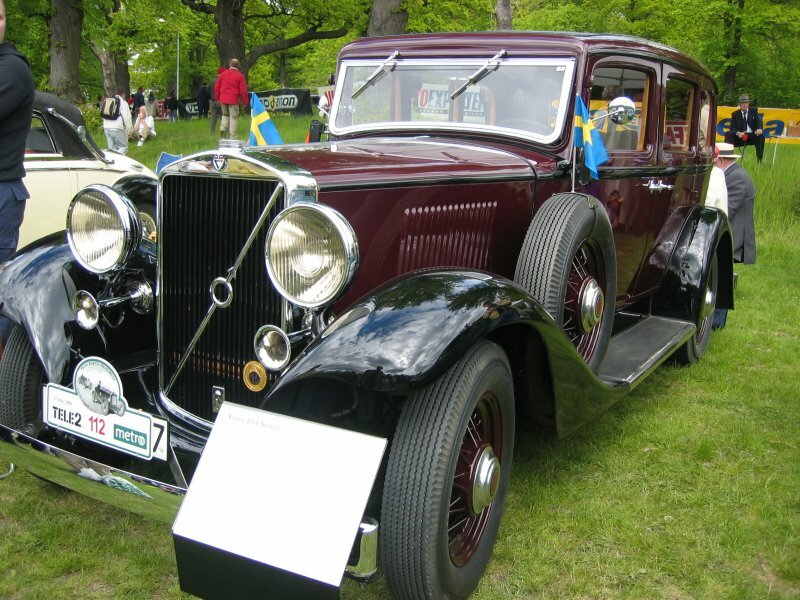 Then it's from the 1930s. 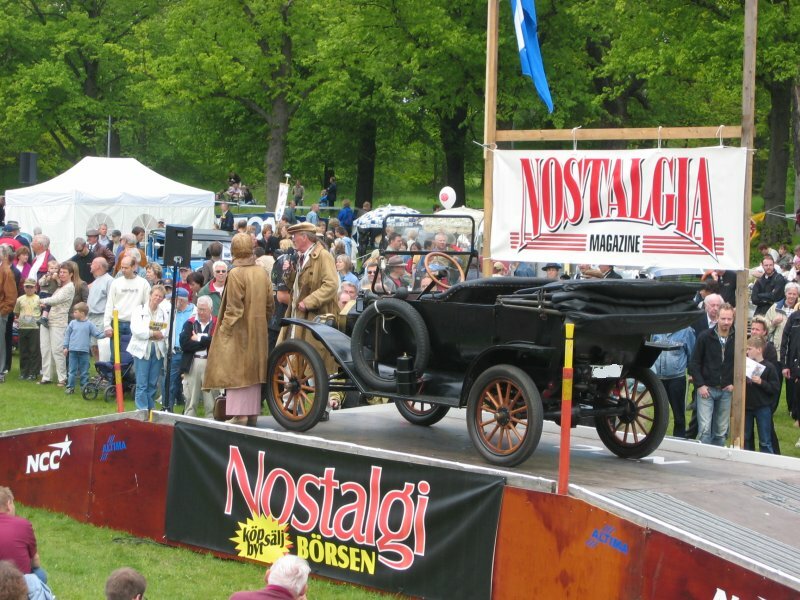 Today Volvo is the only mass produced car manufacture left in Sweden, sold earlier to U.S. Ford but today own by the Chinese. 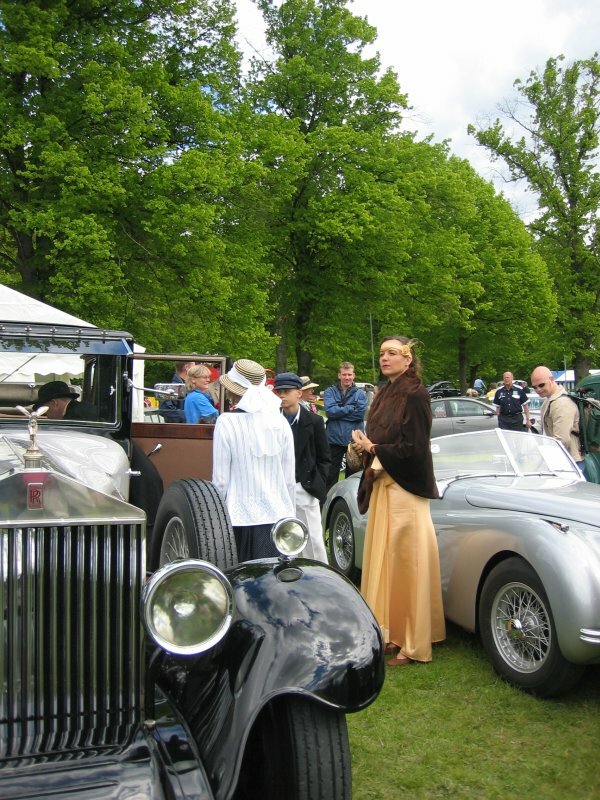 An old Horch 1930s, in that time a very luxury car. 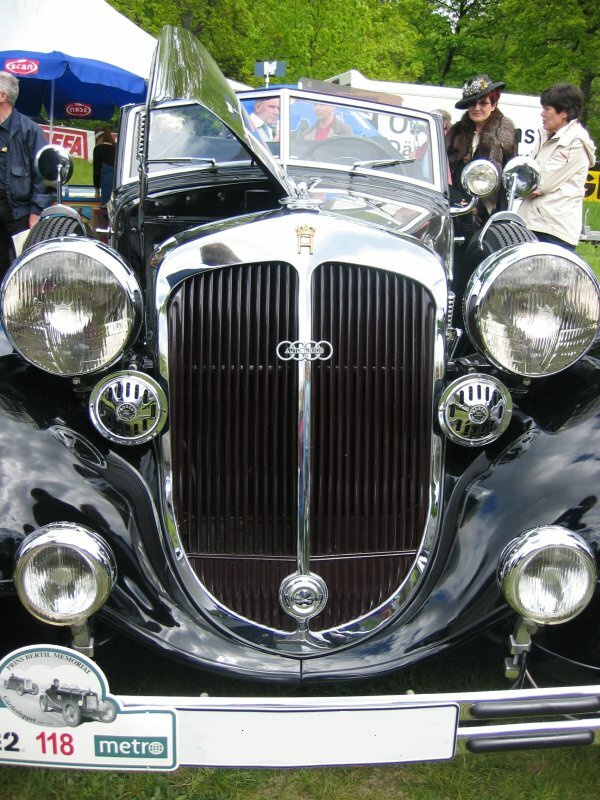 It has the Audi symbol in front, it must have been an earlier merge between the two companies. 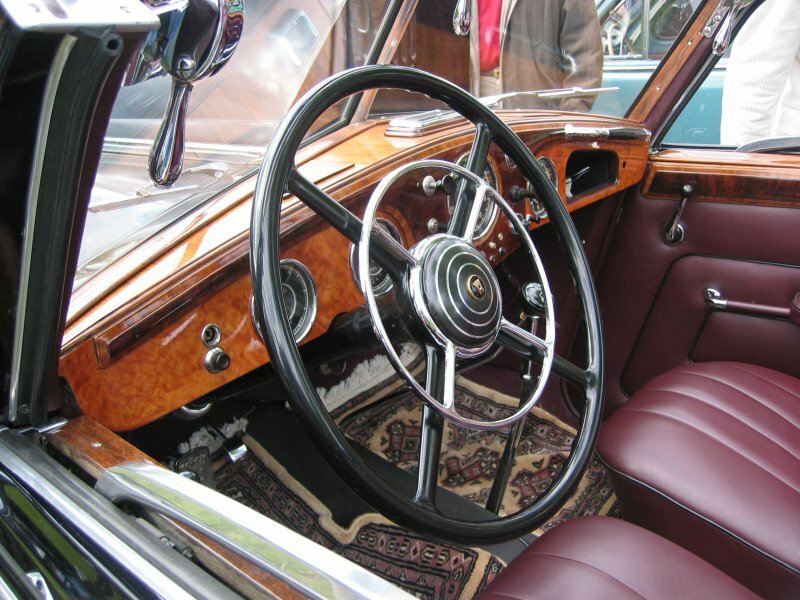 Horch interior and a big steering wheel. 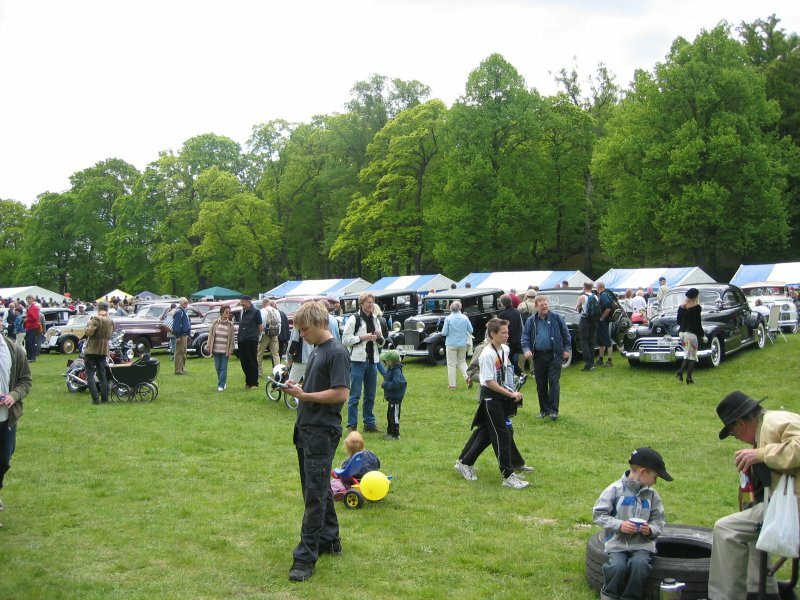 Every year it come a lot of people to watch this car exhibition. 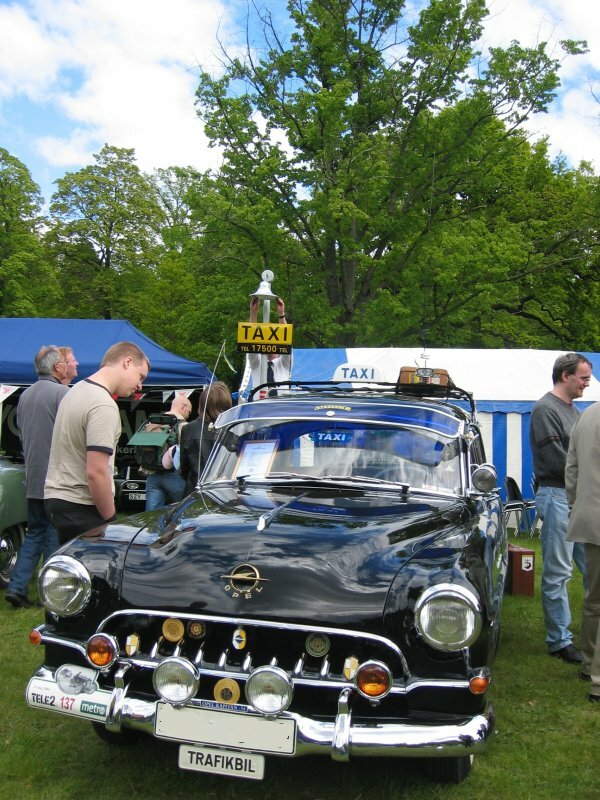 1954 years Opel Kapitän, this has run as a Taxi cab in Sweden. 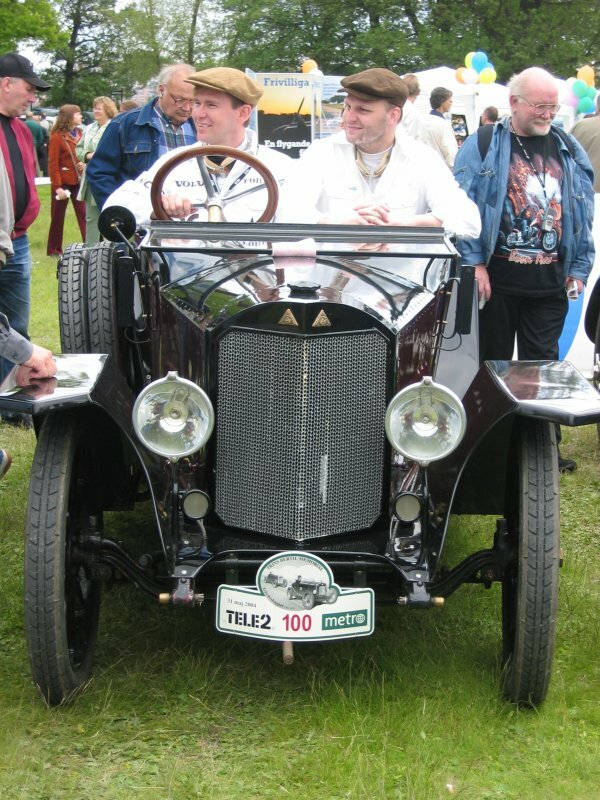 The oldest car this day, was it a Renault from the 1910s? 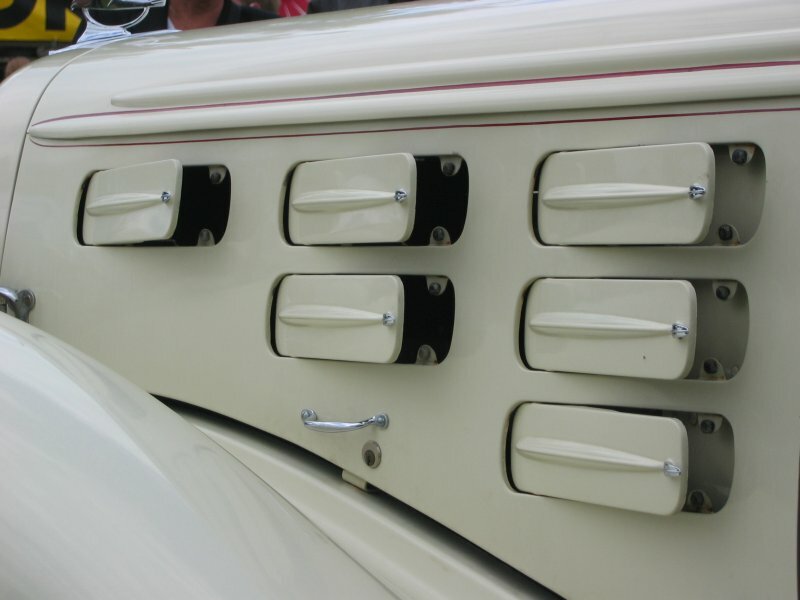 Lot of bras, the time before chrome. 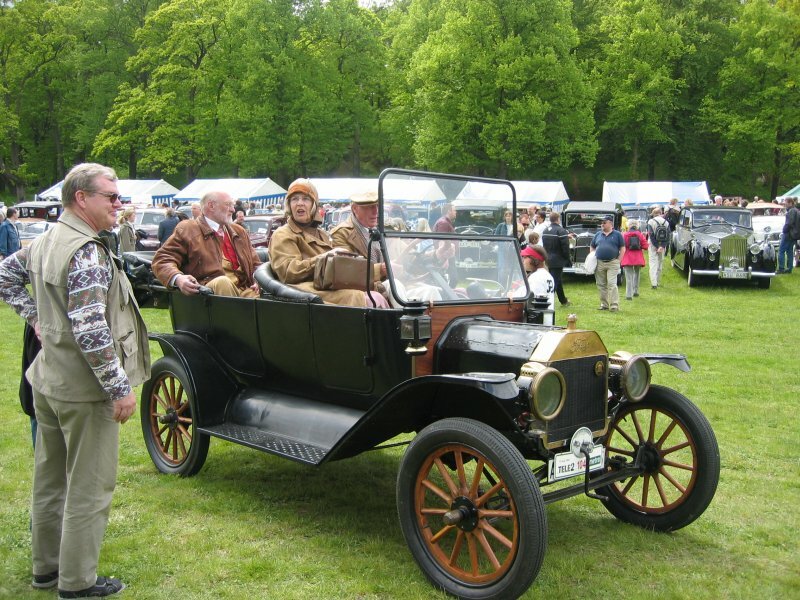 The Renault had no electric starter. It looks to be a Indian Chief Black Hawk, late 1940s. 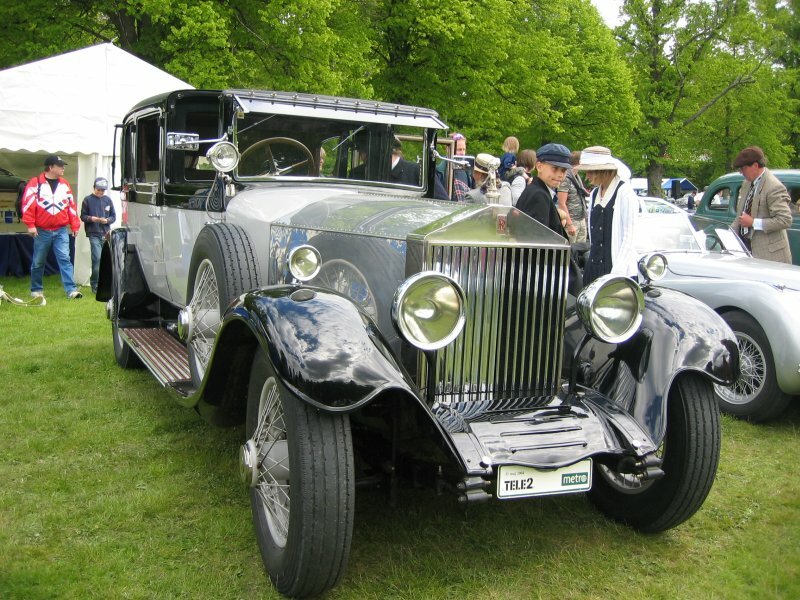 1927 years Rolls Royce Phantom. 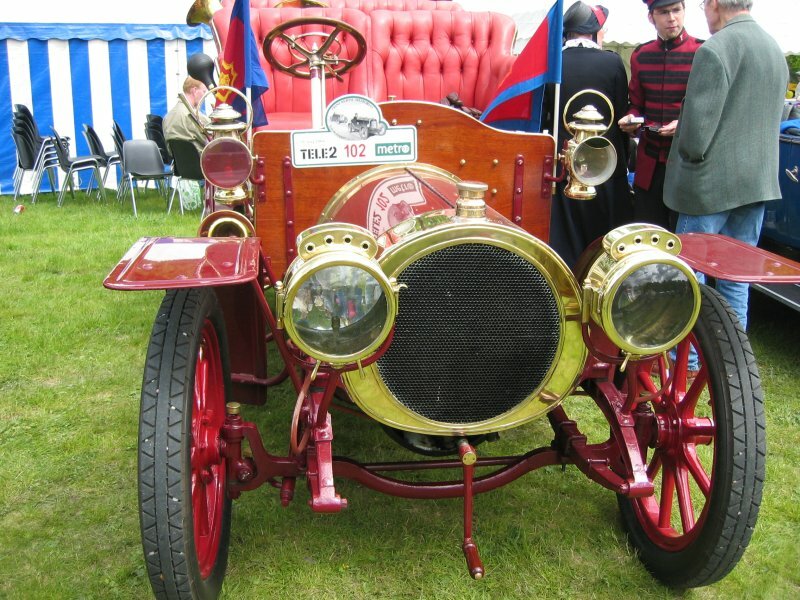 T-Ford, maybe from the year 1911. Beautiful lady and a Rolls Royce. 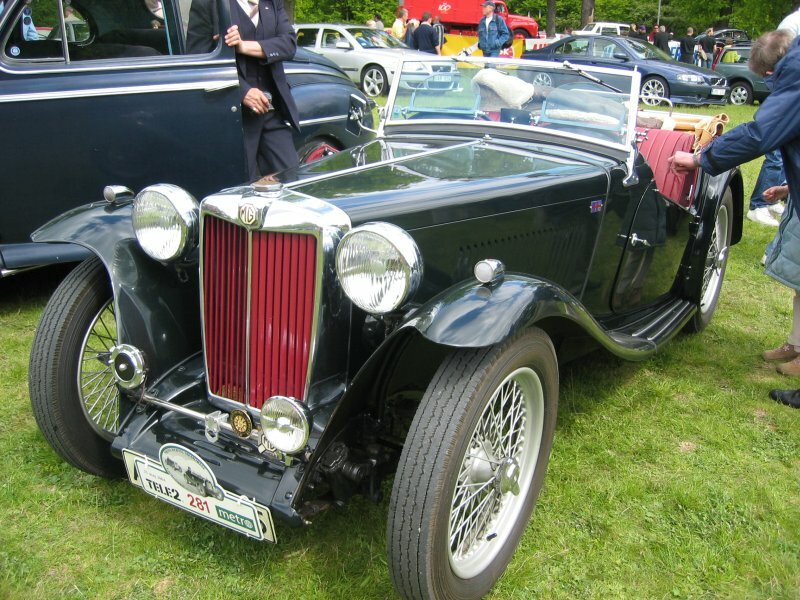 MG from 1940s. 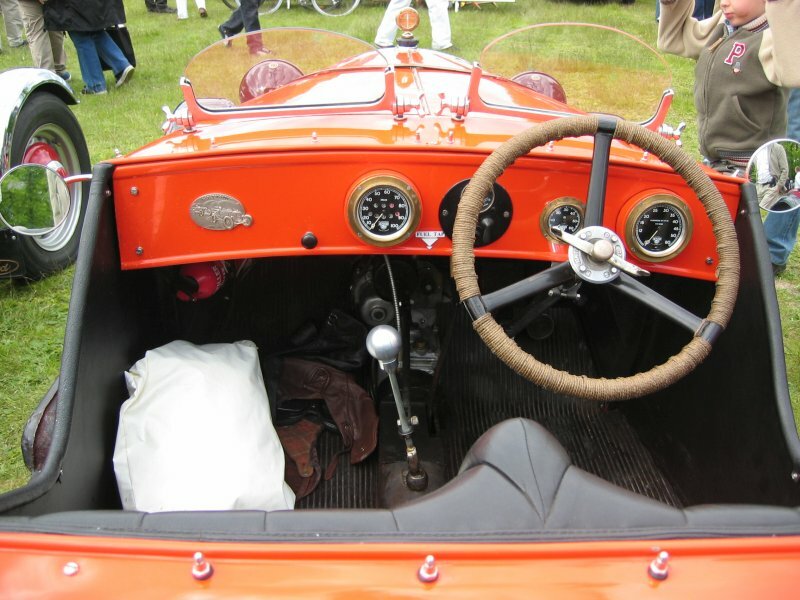 A British sport car. Willys Jeep, 1940s. The grandmother of all Jeeps. 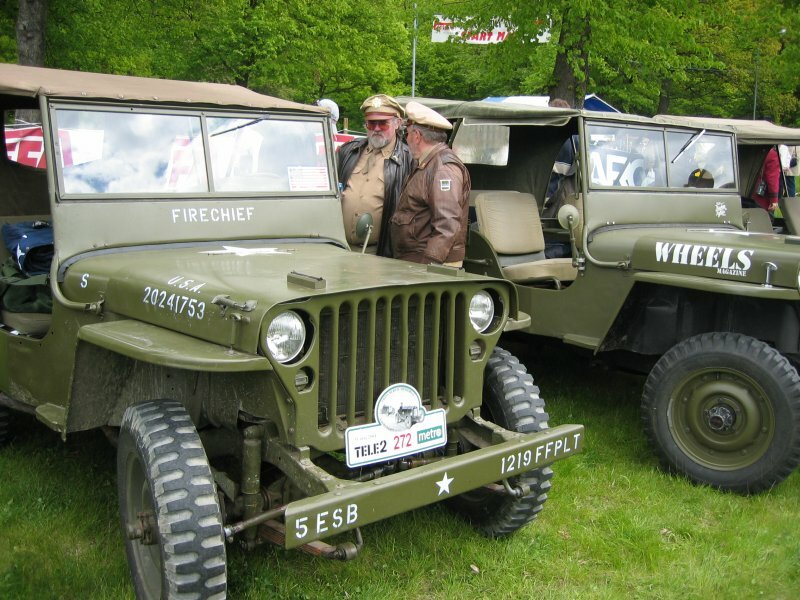 1944 years Willys Jeep. 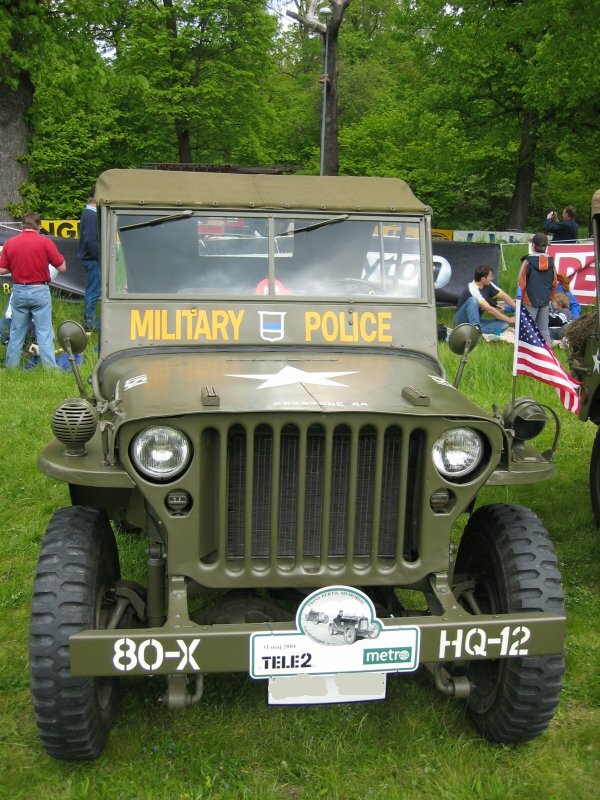 The military Jeeps differ a lot compare to the civilian Jeeps that came later. 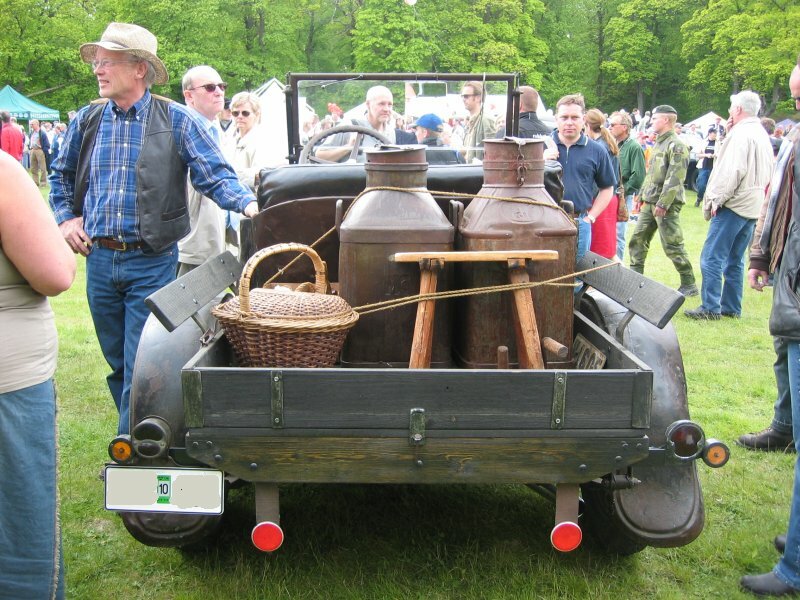 An old Ford that had been rebuild to a tractor, in Sweden we call them EPA tractors. People and farmers where very poor in the 1930s and by converting old cars they could afford a tractor. 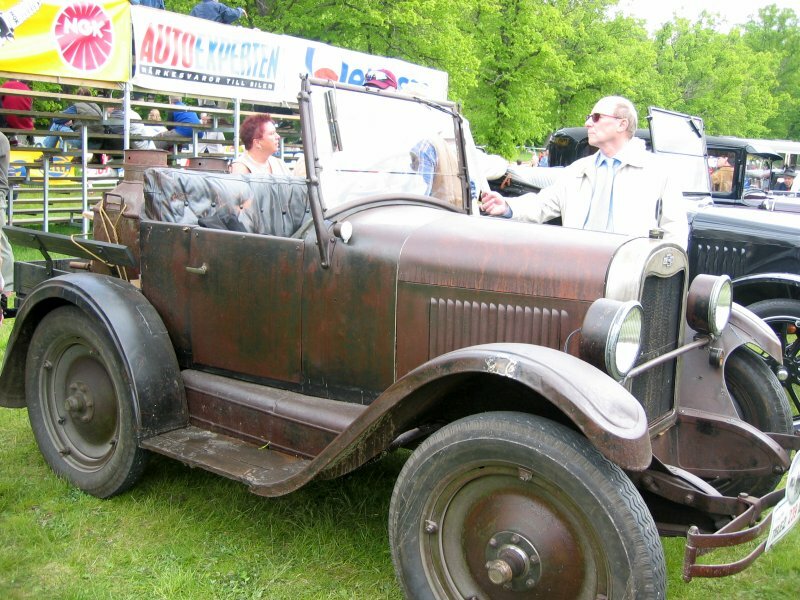 1926 years Chevrolet, farmer's truck. 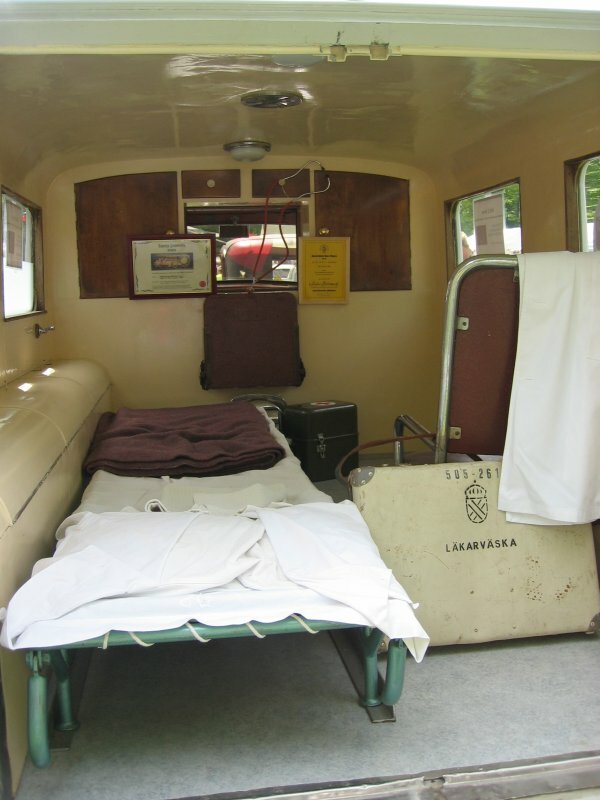 1948 years Volvo PV 824 as an ambulance. 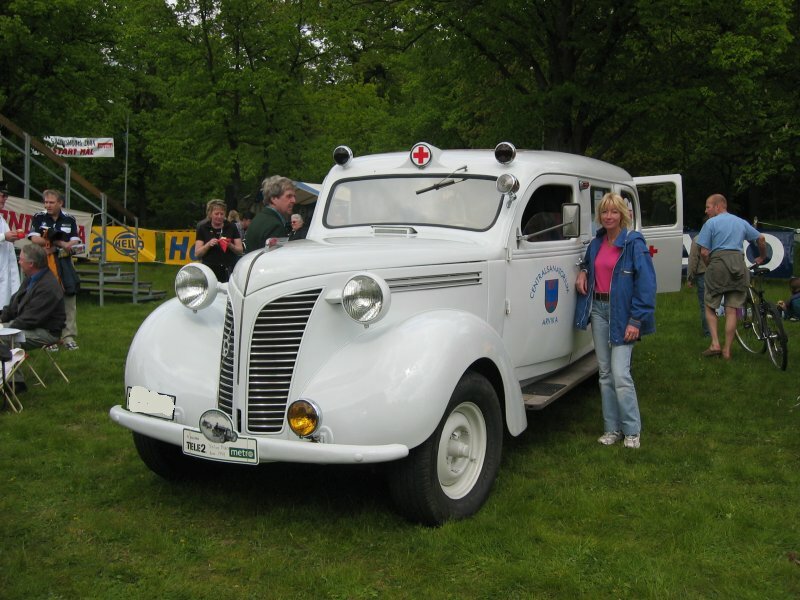 Volvo PV 824, ambulance, I believe they where common in Sweden those days. 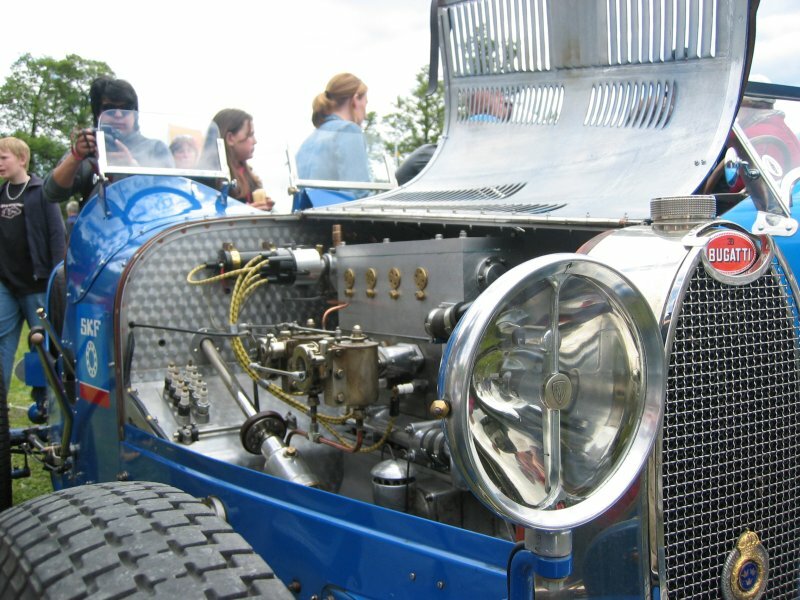 The engine is a 6 cylinder inline with 90 horse powers. 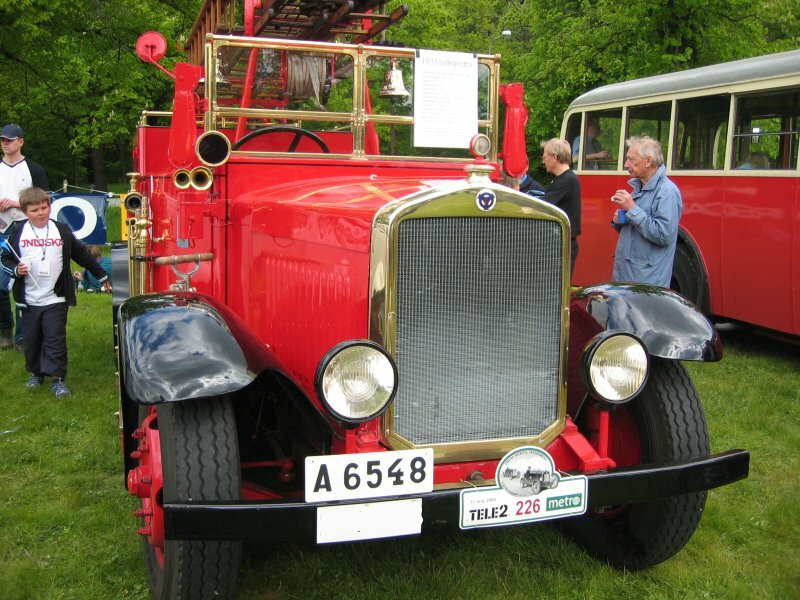 Fire engine, this is a 1931 years Scania Vabis, made in Sweden. 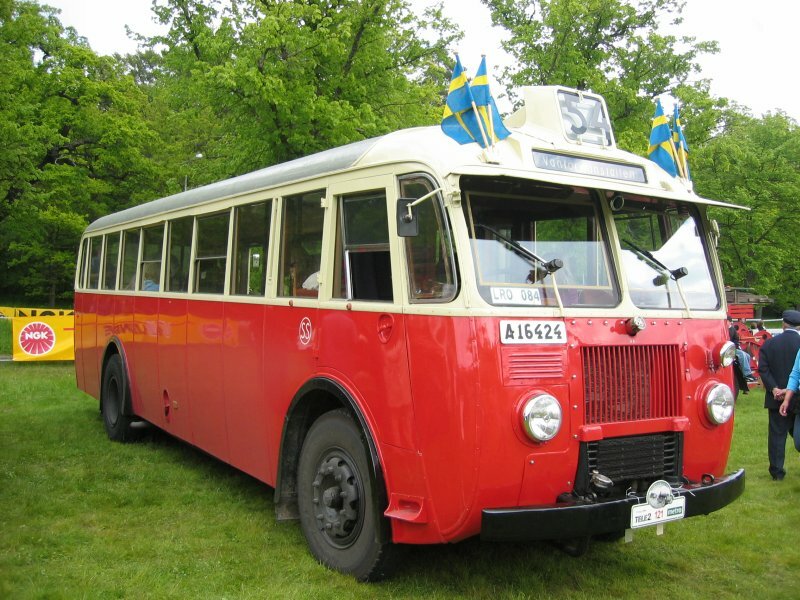 Bus from Scania Vabis, 1950s ? 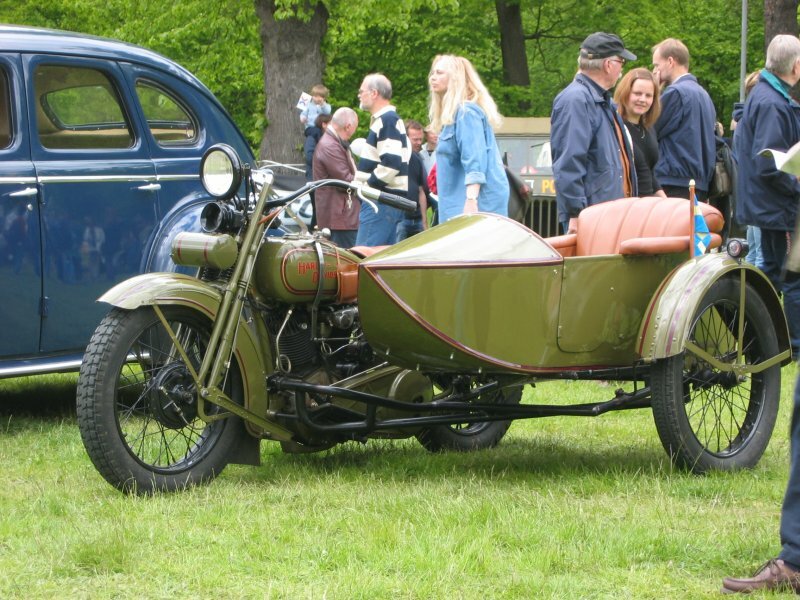 Morgan 3-wheeler, it's hard to tell if it's from the 1930s or today. They look the same. 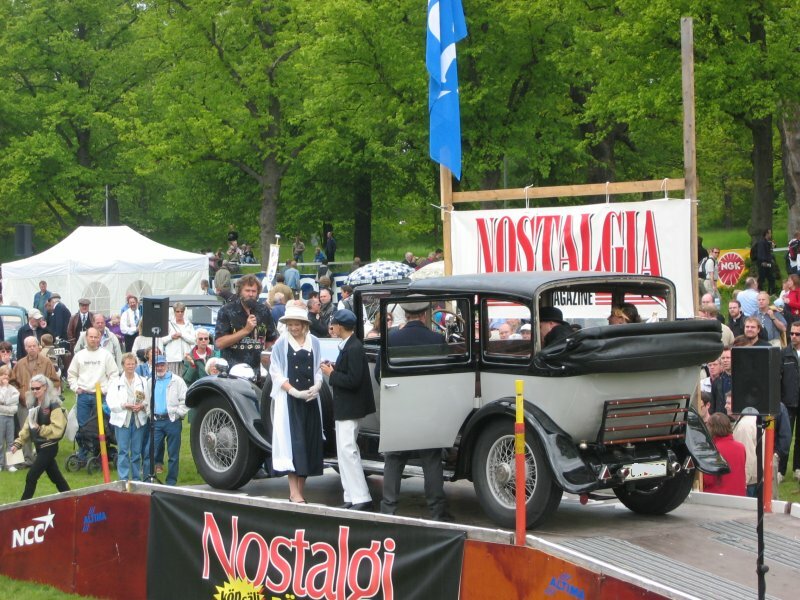 1952 years SAAB 92, a race car and to the right is the driver Erik Carlsson "Carlsson on the Roof", a famous Swedish driver. 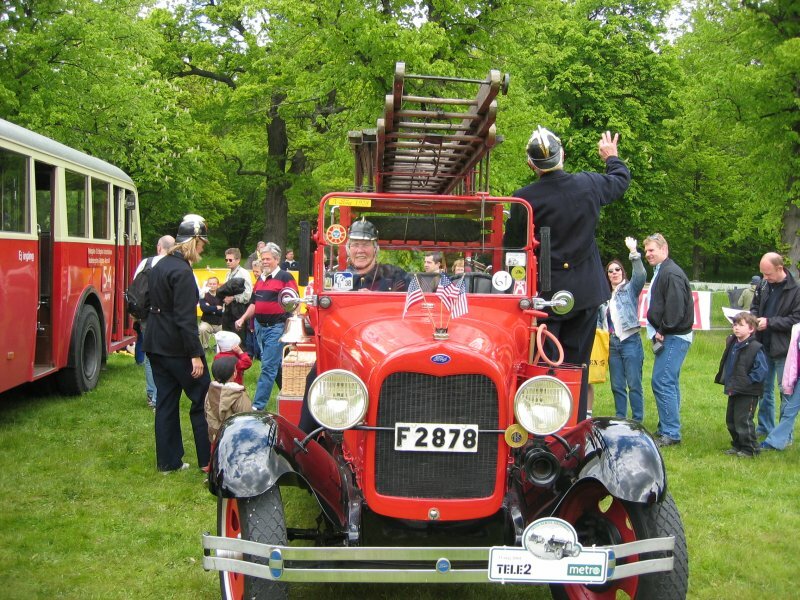 The car only had a small two stroke engine but the car was very light. 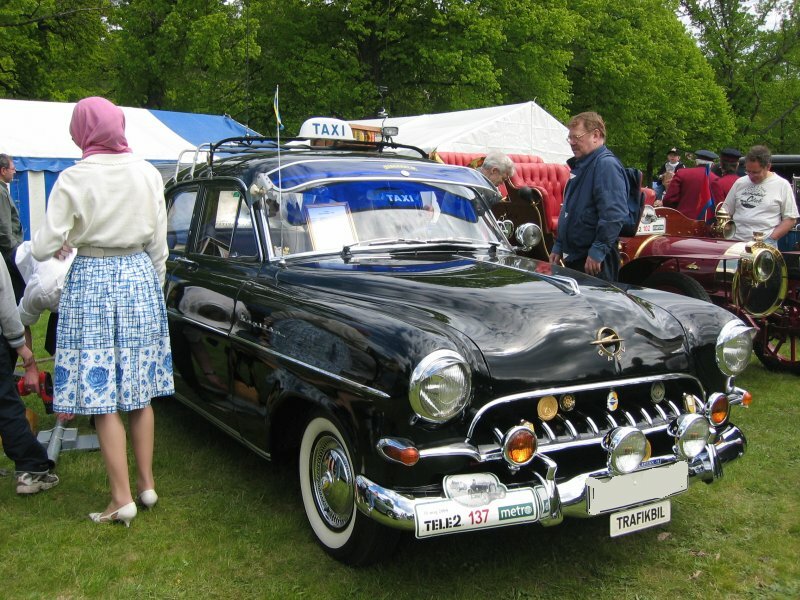 SAAB was a Swedish car manufacture, then sold to U.S. GM. But they couldn't be kept it alive and SAAB got bankrupt later. 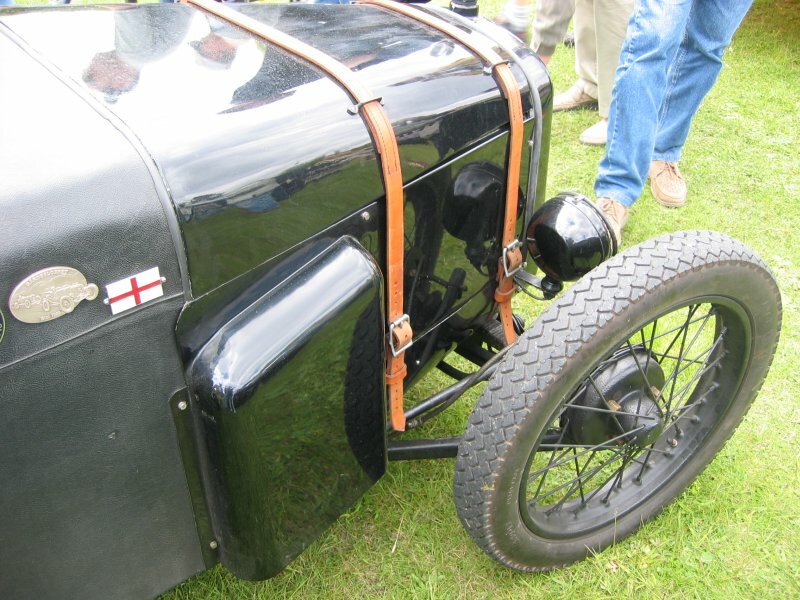 British race car, but which? Two gentlemen in a very narrow British race car. Bugatti, this is THE Race car! 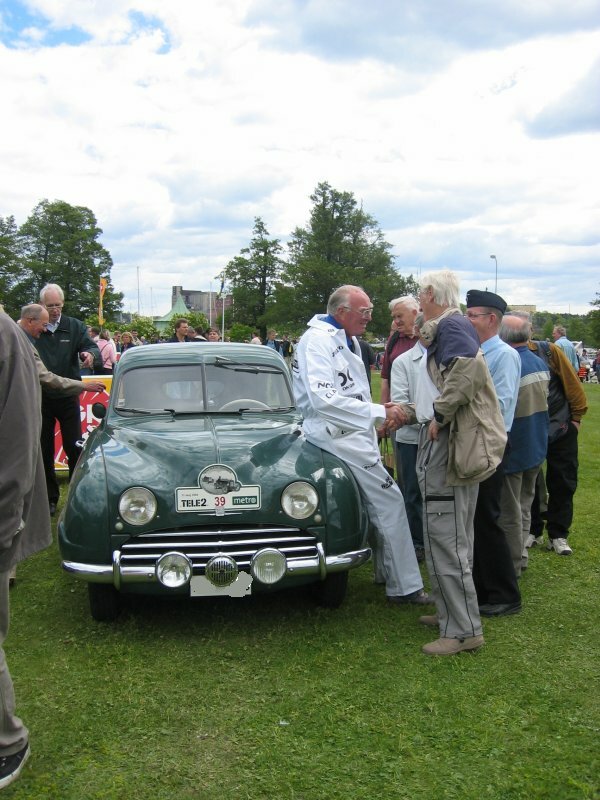 British race car, or? The flag is from Schweiz but what I know there isn't any Schweiz car manufacture. 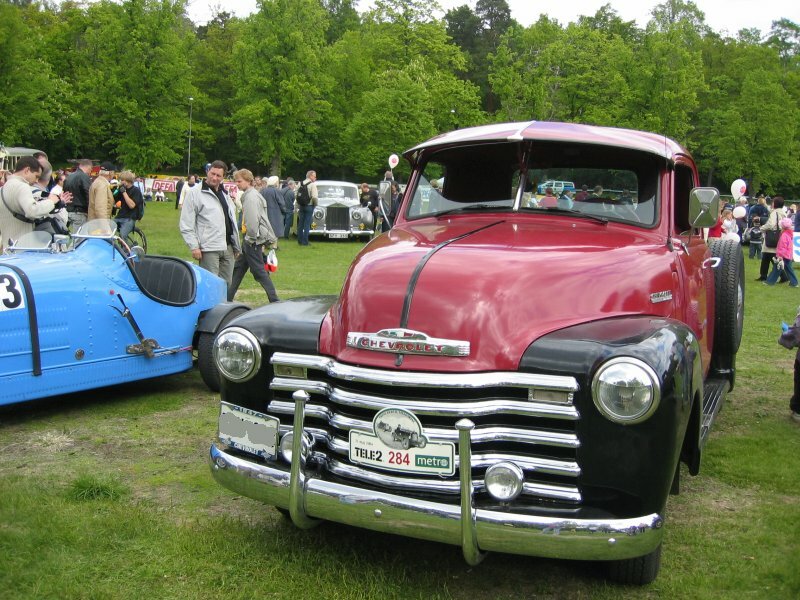 1947 years Chevrolet stepside, that's a pickup. Great paint with red and black. 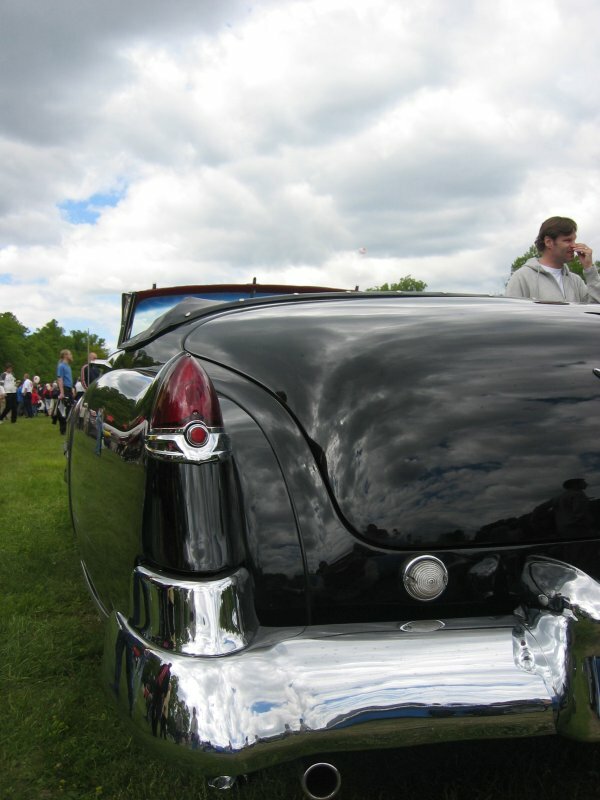 Cadillac convertible from mid 1950s, the fins have just started to be popular. 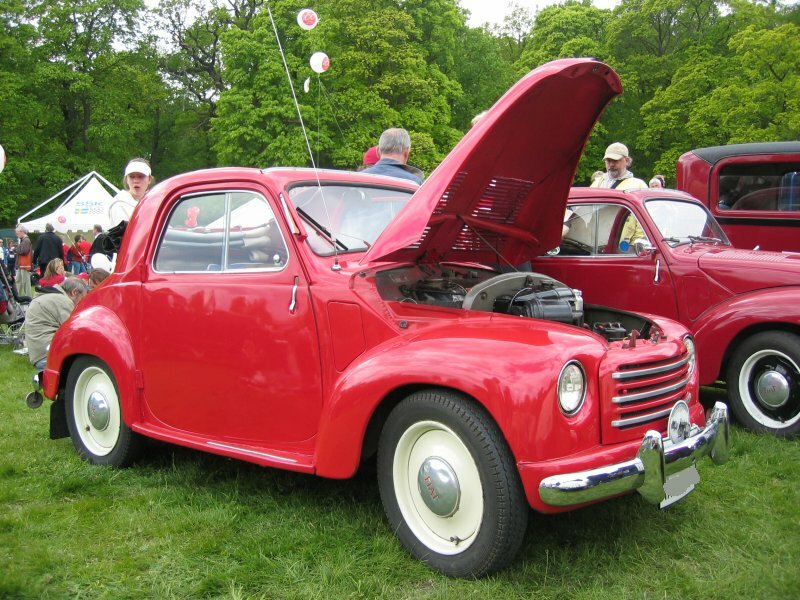 1952 years Fiat Coupe 500, a very popular car at that time. Nowadays Fiat have started to produce them again with modern technology. 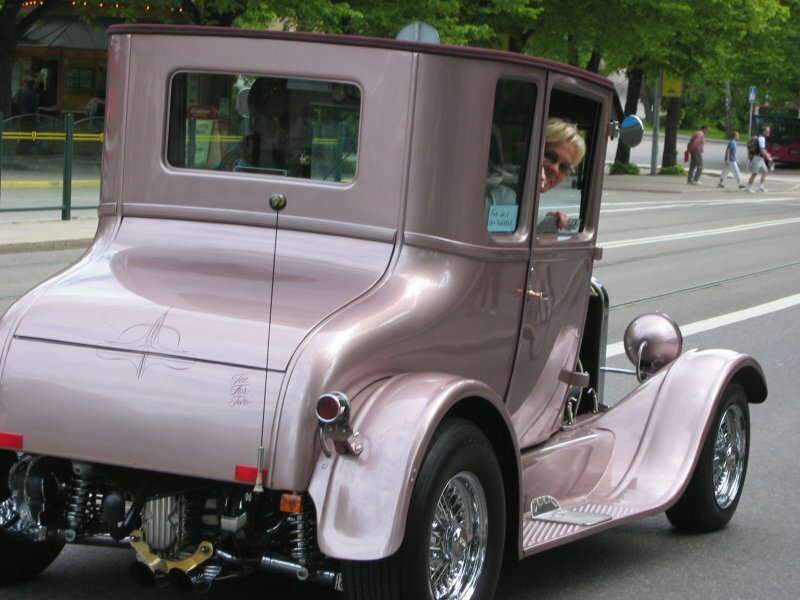 If I remember correct this was a Chrysler from 1930s. 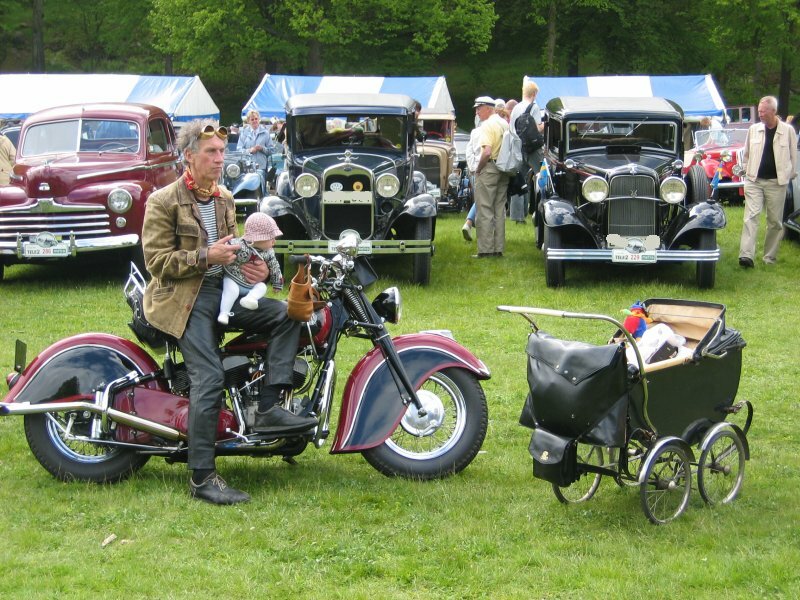 Harley Davidson with a sidecar, 1930s. 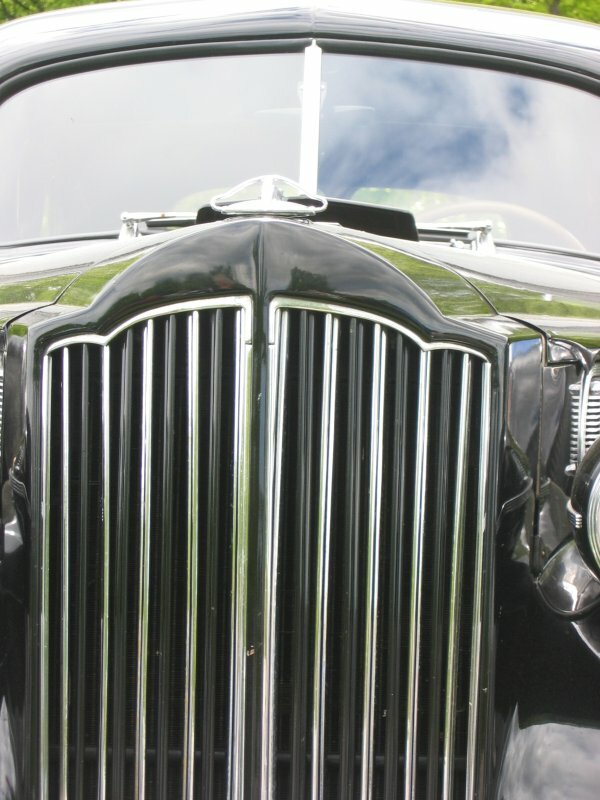 A big heavy Packard, an U.S. luxury car from the 1930s. 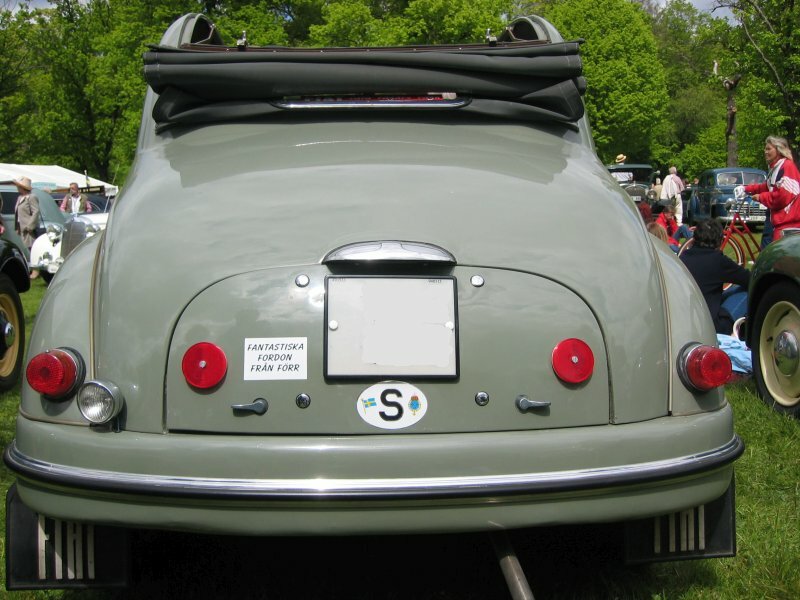 1954 years Fiat Convertible 500. 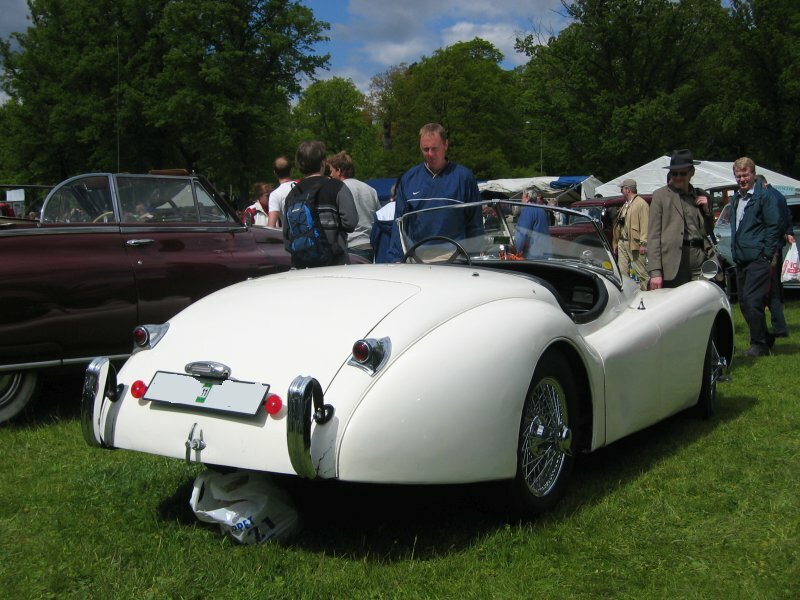 1953 years Jaguar XK 120, a British sport car. 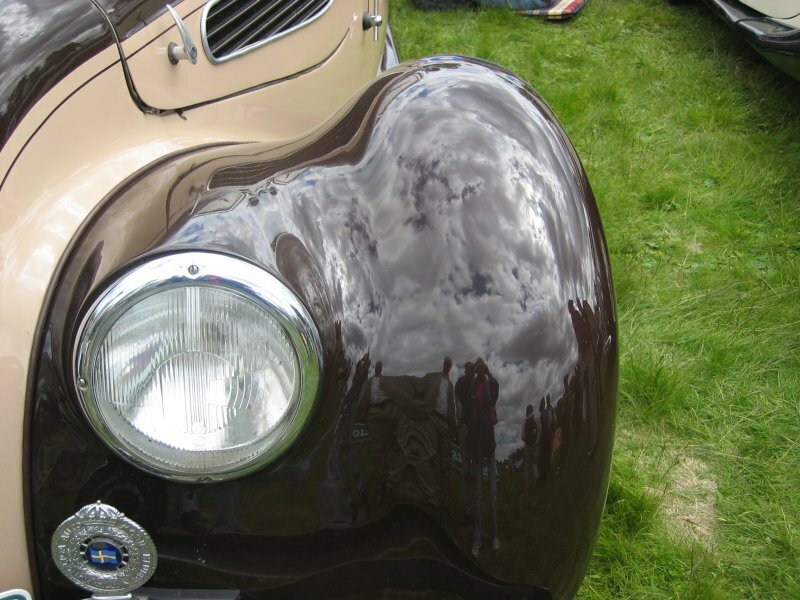 A DKW convertible from 1940s. If I remember correct these DKWs was produced in East Germany when Germany was divided. 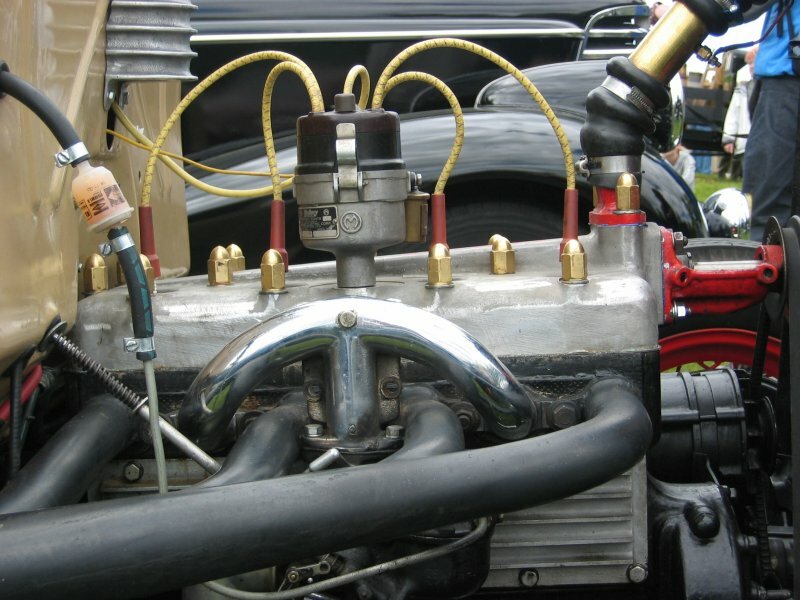 A 4 cylinder flathead inline engine, maybe a Ford. 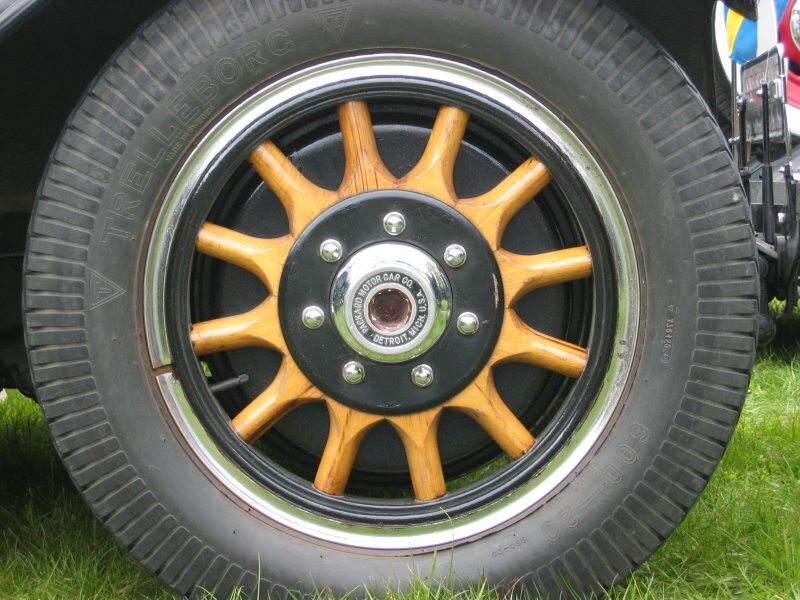 An old Packard car wheel. 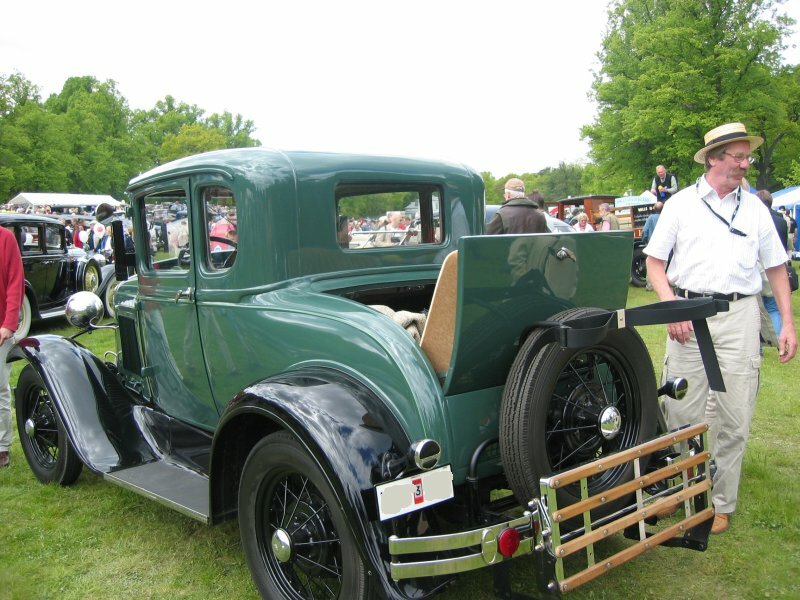 The Packards was very heavy cars but still the wheels has these wooden parts. Rolls Royce Phantom on parade. 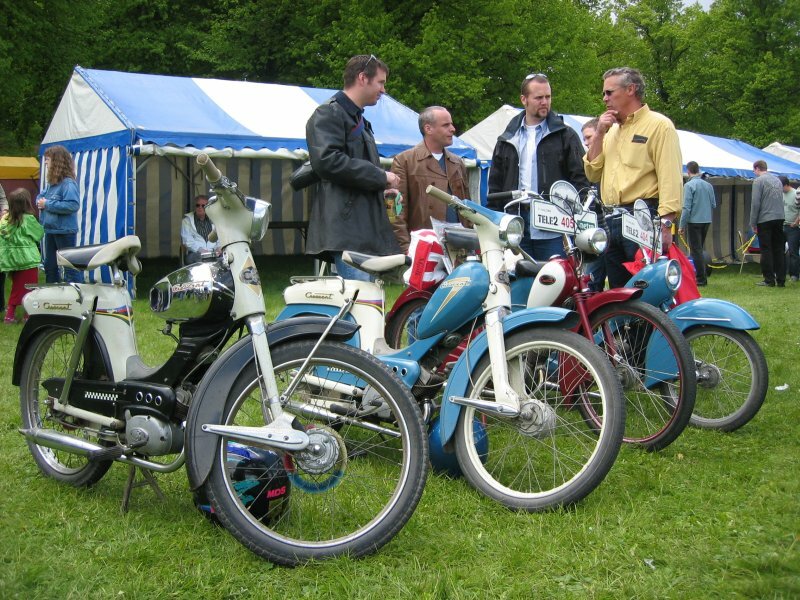 Lot of mopeds or scoters, the last blue one is a Crescent 2000, I had one like that once. 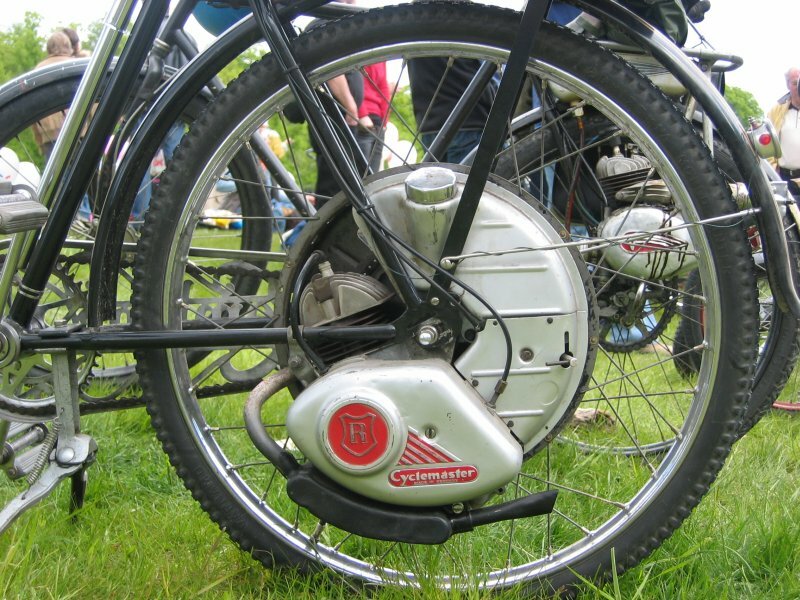 Bicycle with e help engine in the wheel, even the gasoline tank is inside the wheel.